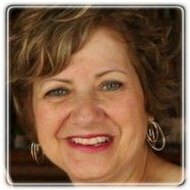 Windsor Therapist: Judy Farrah - Therapist N8P 0B1. I returned to school as an adult student in 1990 after my kids were all in school. I started my schooling at St. Clair College for a course in psychology. (The decision to return to school was a result of my interest in volunteering at a local distress centre phone line). I enjoyed the course so much, I decided to enroll in the University of Windsor for my Bachelor of Arts (B.A.) degree in psychology. Upon completion, I started to work on my Bachelor of Social Work degree. My placements at school included working at an adolescent crisis agency, a shelter for abused women, and at a regional centre for children. After working on my degrees, I was privileged to get a job working at one of the hospitals in Windsor, Ontario. The job included doing crisis intervention for people who were struggling with mental health issues. While working, I decided to also work on a Masters degree in Social Work, which I completed. After working for 13 years at the hospital, I was offered a job working at a family service agency. I have been working at the agency as an affiliate ever since – on a part-time basis. In addition, I have volunteered for hospice patients providing therapeutic touch and other anxiety-reducing techniques to help clear clients energy fields and help reduce their anxiety. My work experience has included working with client’s who have experienced problems in the areas of depression, anxiety, panic attacks, obsessive-compulsive disorders, eating disorders, anger, sadness, confusion, self-esteem, relationship problems, marital problems, separation/divorce, grief/loss, medical problems, trauma, post-partum depression and many other areas of stress. My approach includes a non-judgemental, solution focused approach that includes working on what the client wants to achieve and helping the client see options. Very importantly is awareness of the impact of their thoughts. I have a passion for counselling and I hope to use my 20 years of experience and knowledge to help others in their journey to grow and learn effective ways to handle their current and past concerns. I bring a compassionate, and honest approach to my work. Understanding the busy life of many people today, the uncomfortable feeling of facing a counsellor in person and the inability of some people to go for counselling on their own, I believe online counselling can benefit many people. I am available to work with clients via telephone or in person. I am extremely flexible with scheduling and will do my best to accommodate your schedule whether it be morning, afternoon or evening sessions. I hope my passion for counselling and my experience in hospital settings, family service and hospice, enhances my ability to work with you on achieving your goals.